The Mahabandoola Garden has been my favourite spot downtown ever since I was a child. 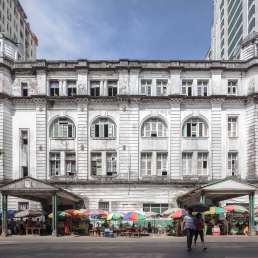 The Independence Monument, fountains and greenery, surrounded by the majestic High Court and City Hall, create a true urban oasis in downtown Yangon. Especially in the hot summer, the park is a nice place to hang out in the evening as a breeze from the river cools down the day. In the 1990s, there were merry-go-rounds and Ferris wheels for children to enjoy. I vividly remember those times when I ran around the park and rode these attractions each week. Unfortunately, they have been replaced with not-so-attractive public bathrooms. The former Secretariat is shrouded in mystery for a Millennial like me. 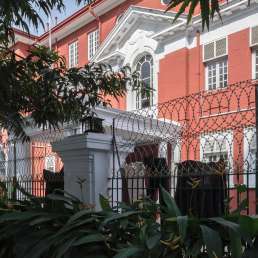 Majestic as it may seem from the sidewalk, the Secretariat is off-limits for the general public other than you-know-whos doing you-know-what behind the layers of security, fences and thick vegetation. Until recently, I have only vicariously experienced it through the historical accounts of General Aung San’s assassination, and the independence ceremony shortly thereafter, when the Union Jack was retired and the six-star Union of Burma flag was raised. 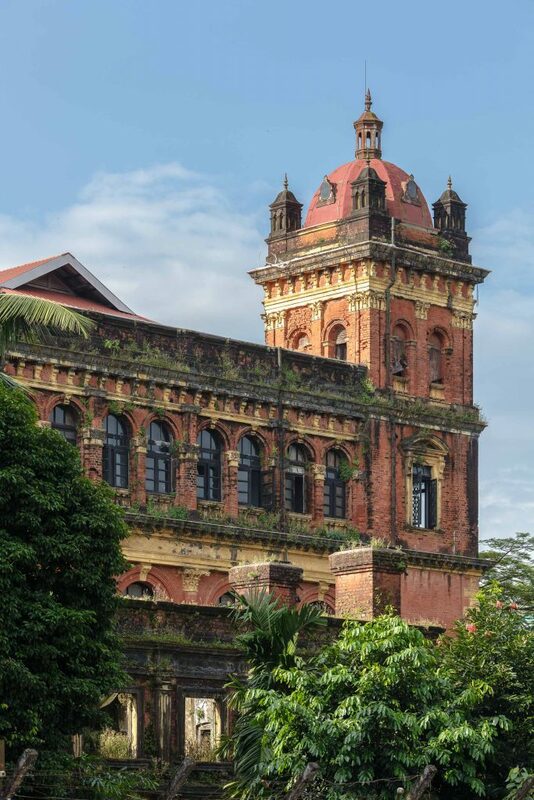 The building holds so much historical and architectural importance for British Burma as well as independent Burma. When you know its history, it can overwhelm you as you pass by on the crumbling sidewalk. A big boat in the form of two mythical birds can be attractive to any child. Famous ice cream on the boat added to the excitement of the place when I was little. 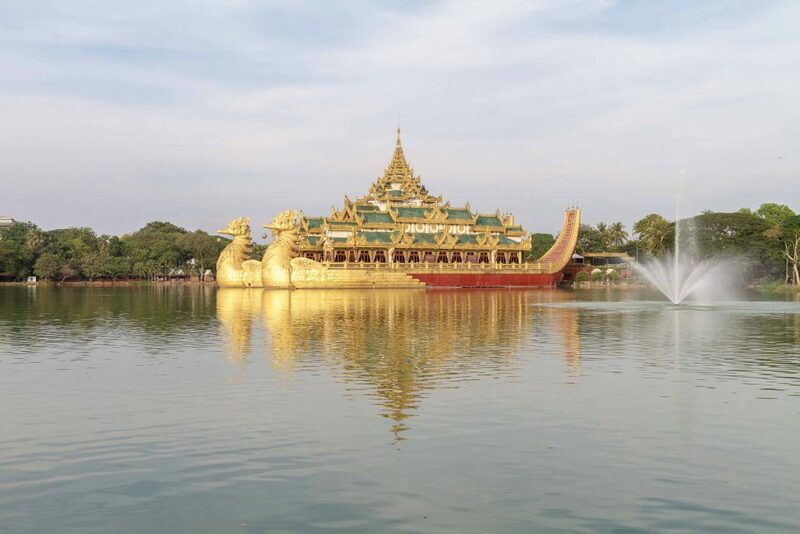 A royal barge, it is in fact a concrete structure anchored firmly on the bank of Kandawgyi Lake. Perhaps it’s a Burmese counterpart to Venturi’s postmodern duck—except it is more elaborate in the form of a mythical bird, painted gold. Very Burmese. 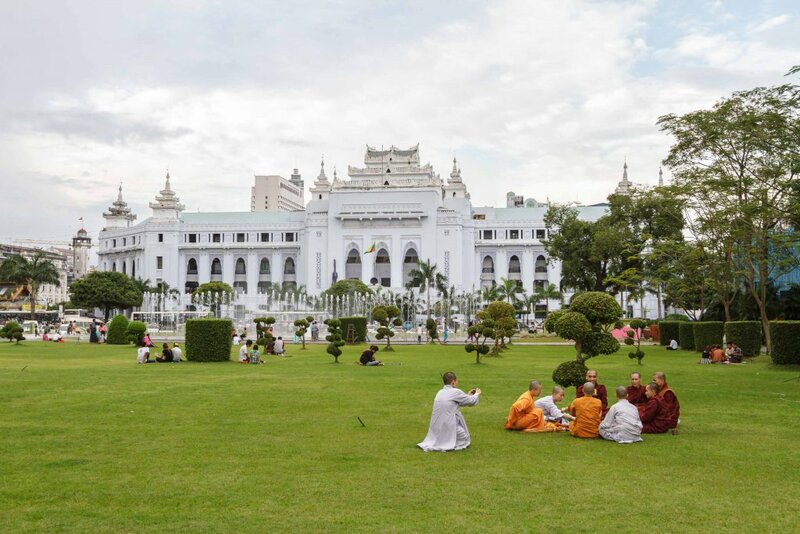 It makes a statement on the lake, and it is lovely to enjoy the scenery from its platform, facing the venerable Shwedagon Pagoda as if you were royalty on a pilgrimage. 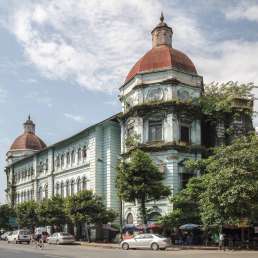 Architecturally unique from all other parts of downtown Yangon, these two- to four-storey shophouses are home to the Chinese community which make up Yangon’s Chinatown. The wooden louvre windows, dougong brackets, some quite detailed, recall the Chinese heritage you find throughout Southeast Asia. These buildings might not be as grand as many colonial buildings but they make the fabric of vibrant Chinatown. 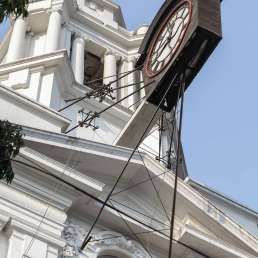 Although they are largely intact on the lower block of Latha Street, they can be spotted throughout Latha Township and are always great to look up at as you navigate its bustling streets. 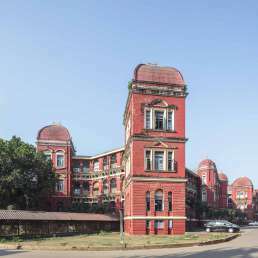 These long, windowless brick structures span along the Yangon River and stand imposingly at the end of Sule Pagoda Road. The architecture is clearly utilitarian. 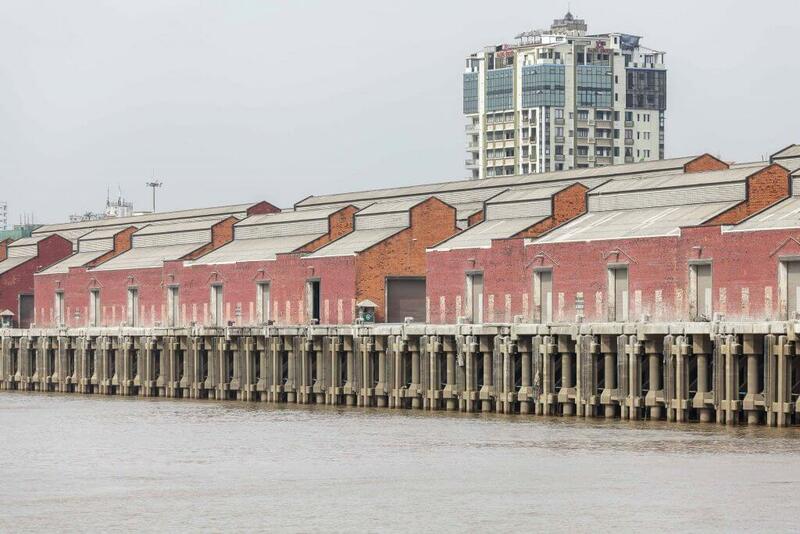 The warm-orange brick walls that make up these warehouses, arranged in a uniform and orderly fashion, have become iconic of Yangon’s port. When you walk along Merchant Road and look towards the river from the numbered streets, their presence is hard to ignore and can be appreciated in the light of the setting sun.